Gaggia 90500 Titanium Review — Ohhhh Shiny! Clearly, I love espresso. I never thought I would want to touch the stuff again, but after a few years in adult-land doing big kid things and working my behind off, I realized there are some days I need all the caffeine I can get. My espresso fix does the trick for the most part, and I like to spread it out throughout my day to get the jolt right when I need it. But more than just the kick in the pants espresso provides me with, my love for espresso machines actually goes well beyond the glorious beverages they create and extends into the actual function of the machines themselves. As much as I don’t want to have to take the machine apart and clean it all the time, I’m pretty happy to tinker around and scrub it down when in the mood so I can get a better idea of how it works and how everything fits together. 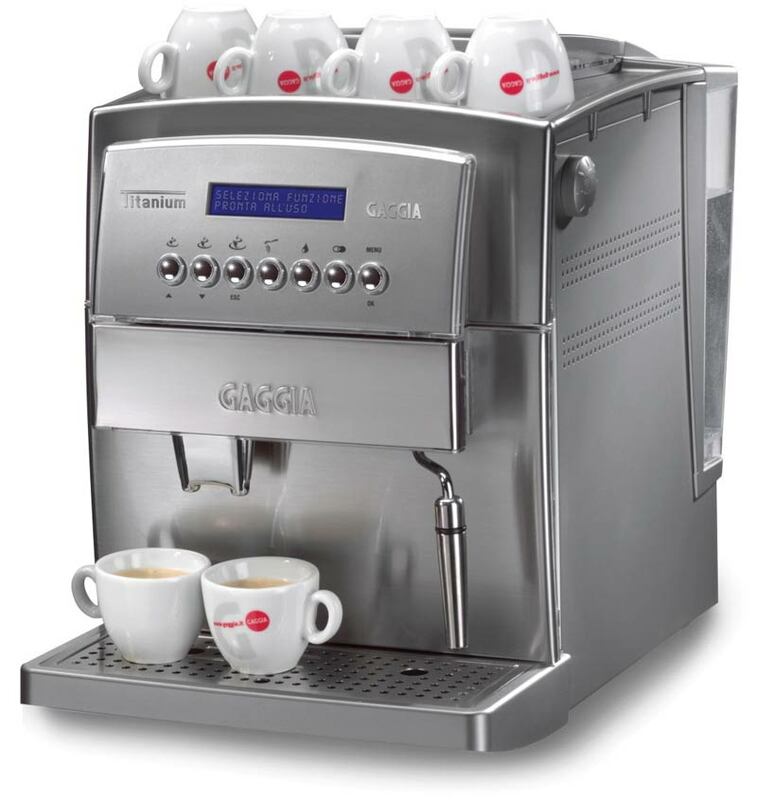 There’s no question, then, as to why the Gaggia 90500 Titanium Super Automatic Espresso Machine caught my eye. Not only is it a fully automated option that does all the fun things I love in a mega powerful espresso machine, it can also easily be taken apart so you can take care of the insides and see how it all works. If you ask my husband, he’ll say I’m a little bit of a control freak, but I just like to call myself particular. 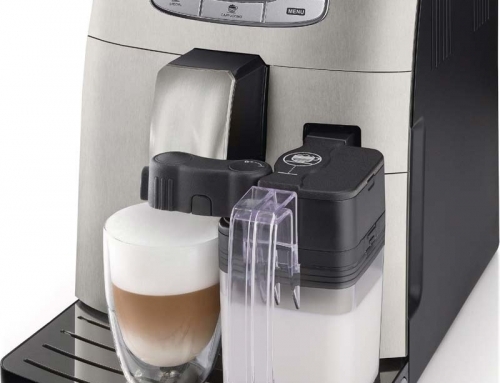 However, if I really do like to be in charge of just about everything as he says, he should probably let me spring for this super awesome espresso machine because it gives me control of just about everything. And he should want me to be happy, right? So, getting back to the machine, it has 18 different grinder settings so you can get exactly what you want without missing a beat. There are options to control the strength of the brew, the speed at which it works, the number of beans… just about everything you can think of. 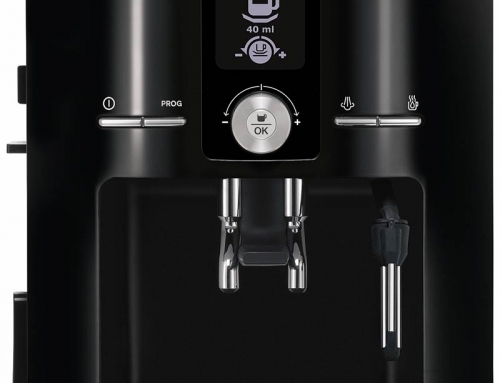 One of the smarter additions to this espresso machine is actually hooked right onto the water container. I’m not sure why this isn’t more common, but there is a small handle on the top of the water tank that makes it easier to lift it out to fill it. It also makes it easier to set back in place when you’re done. It’s such a simple thing, and yet so incredibly helpful. When it’s time to give the machine a thorough cleaning, you can actually open up the front and get to the things that are inside. You may not need to clean them all by hand, but this is where I seriously get interested. You can examine all the pieces and parts and see how they work together to make your espresso, and you can also get the machine cleaned up all nice and pretty. Some higher end machines have a base that does you a real favor while your drink is brewing. Cold cups instantly cool coffee and that affects the taste. The warming base at the bottom of this bad boy makes it so you don’t have to worry about shocking your sensitive espresso with a cold ceramic mug. The espresso that comes out of this machine is good. Probably more than good. Some might classify it as being great. That’s half of the brew battle right there. Beyond that, though, the other half is lacking. The frothing wand isn’t as powerful or easy to control as it probably should be considering the price of this unit, and I would be pretty upset to find out I can’t get the milk exactly the way I want it when I’ve just dropped a big chunk of change on an espresso machine. The machine looks like it’s all stainless steel, and the price makes it sound like it should have entirely metal construction. At least, that’s what I expected. What I found out is that a lot of the exterior construction and interior parts are actually made of plastic. It’s my understanding that plastic wears out a whole lot faster than metal or other higher quality materials, and I would be concerned that my money was spent on something that wouldn’t last very long. That would be a major bummer. 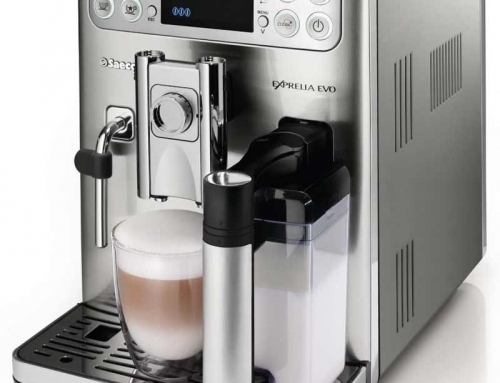 There are some things about this espresso machine that I really love, and it seriously piques my gear head interests. Unfortunately though, it doesn’t sound like it has the best construction, and it won’t get the milk the way I want it because the power just isn’t there. It makes a really good attempt, but I want a machine that’s pretty much perfect, made of durable materials, do everything I want, and be supported by an amazing warranty. 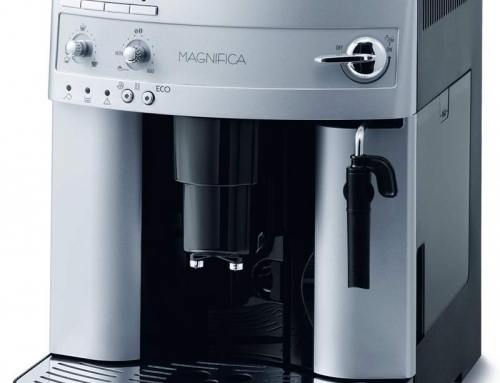 I’m going to pass on this one, but there are a lot of people who love it, so if you’re still on the fence to give the Gaggia a shot, make sure to check the customer reviews by following the links.